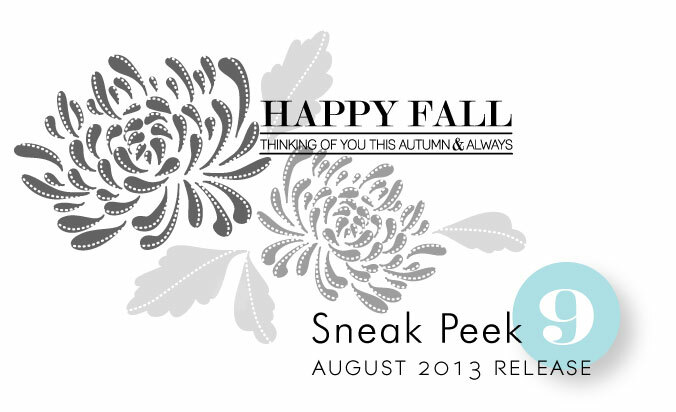 I'm thrilled to be able to bring you a few more peeks at what's coming in just a few short days! Dawn McVey has an incredible new floral set that depicts gorgeously detailed mums, perfect for autumn projects. I love the organic look to these and I can hardly wait to experiment with different fall color combinations as well. She is also bringing you the latest in her Boutique Borders series. While no card maker enjoys having to create a sympathy card, it is a wonderful feeling to bring comfort to someone in a heartfelt, homemade way. The sentiments included with this ornate frame are perfect for communicating just what you are feeling during these difficult times. Beautiful flowers and love the framed sympathy sentiment! I love the fall flowers… one of my favorite seasons! The framed sympathy sentiment fits perfectly when you need a sentiment to help someone during their loss. I love the mums. Lots of ideas come to mind with these. Dawn never fails to bring us the best florals and gorgeous sentiments! Can’t wait to see it all! I love the mums…..beautiful flowers! FINALLY, a truly beautiful sympathy stamp. Those mums look gorgeous too. Dawn never ceases to amaze me with her fabulous florals. The sympathy set will fill a void in my stamp collection. Love both sneak peeks today. Stunning just like the others !! both sneaks are so pretty!! I can’t wait…Dawn never disapoint! OH My!! Those flowers are stunning!!!! LOVE everything I have seen so far!!!! Both stamps will produce beautiful cards. The fall floral image is lovely! And I love the elegant simplicity of the sympathy sentiment. It’s just right for such a solemn and sad occasion. Thank you for the With Sympathy stamp. It will make difficult cards personal and elegant. Gorgeous florals from Dawn today. Also, the sympathy stamp, whilst we don’t rush to collect them, this fits the bill perfectly. Thanks again Dawn. More gorgeous florals! Love the sentiments with borders. I can just imagine how beautiful the mums will be in different ink colors. Love what I see today! I’m especially happy about the sympathy stamp set–thank you! Lovely. I’m looking forward this release. Oh wow I can’t wait to see Dawn’s mums, they look beautiful!! I’m a former florist so I have a great love of mums and a great appreciation for words and gestures of sympathy. Can’t wait to see the complete sets! I LOVE the fall flowers so much!!! And the sympathy stamp is much needed in my stamp arsenal! Love the stitching details on the mums – just delightful! 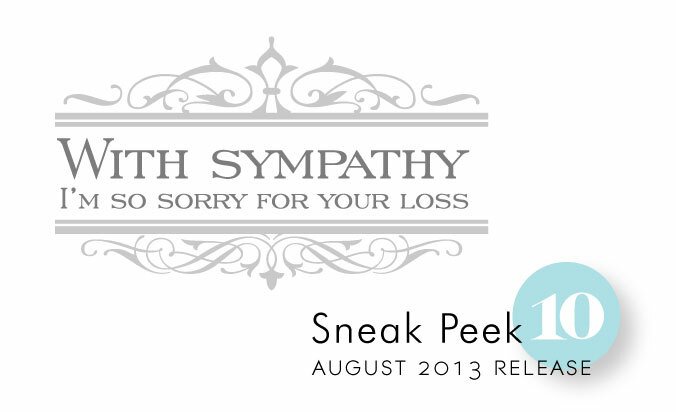 The sympathy boutique borders set is a classy touch for expressing a thoughtful but difficult sentiment. I like those flowers but the sympathy stamp is on my list as I really have been looking for a nicer one than I have. This one looks perfect! This with Sympathy set is on my list, I do not like making sympathy cards so thinking this might be the perfect CAS solution. Fall flowers are stunning and mums are the best. Dawn has done a fab job of capturing their lush beauty, this is a must have set! What a beautiful flower! I can see cards for every occasion. I absolutely love the Mums Stamp Set by Dawn McVey!!! Good job Dawn!!! And the Sympathy Set from Boutique Border, Love It!!! Again awesome work well done Dawn!! !